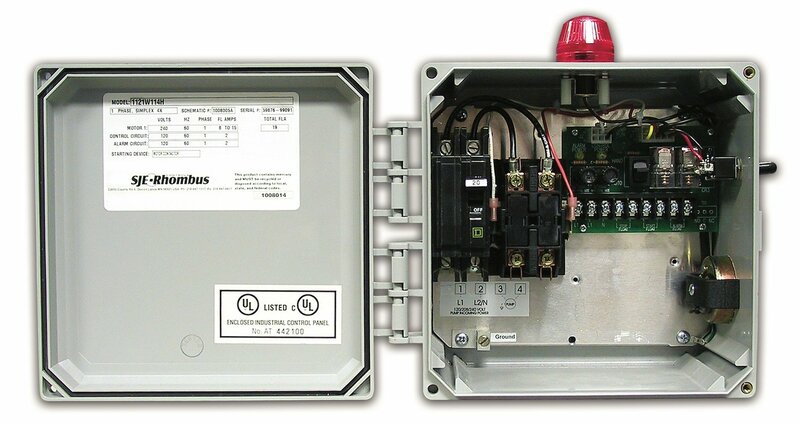 The Model 112 control panel provides a reliable means of controlling one 120, 208, or 240 VAC single phase pump in pump chambers, sump pump basins, irrigation systems and lift stations. Two control switches activate a magnetic motor contactor to turn the pump on and off. If an alarm condition occurs, an additional alarm switch activates the audible/visual alarm system.